Here’s some portraits from my last session with Melissa. 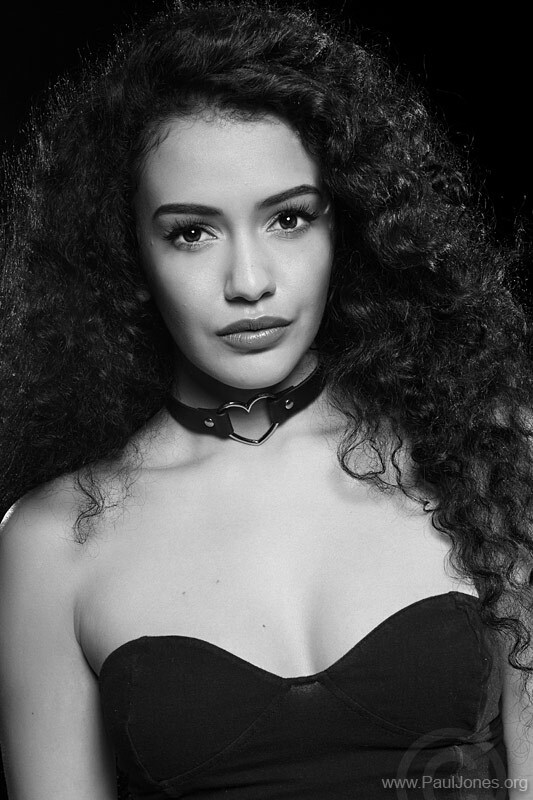 I really like the simplicity of these – the simple black top, offset by the heart choker around her neck, with her face the centre of attention framed by a mass of hair. The lighting was also simple. 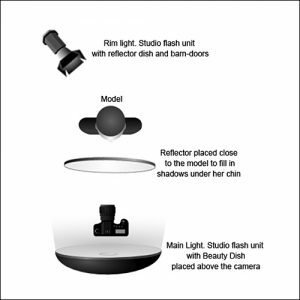 A beauty dish attached to an Elinchrom studio flash above the camera for the main light and another studio flash unit behind acting as a rim / hair light. A silver reflector below the camera filled in the shadows under her chin. 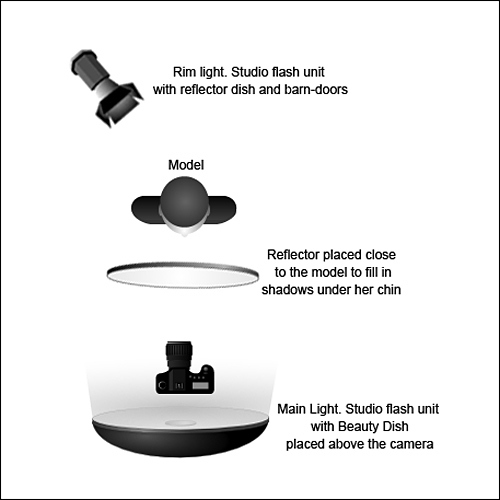 See lighting diagram below. Melissa can go from smiley to sultry at the drop of a hat, which makes photographing her such fun. I can shoot a couple of dozen images of her and find myself liking them all, often struggling to choose a favourite. Click on the photos to see them bigger and feel free to leave a comment or question below. Melissa is such a good model. You’ve got some great images of her over the years. The lighting is lovely in this series, really crisp with lovely soft shadows. My favourite is the second to last, where she is resting her hand against her cheek. Thank you very much, Brian. I appreciate you taking time to comment. It’s difficult to take a bad photo of Melissa. She is so naturally photogenic.